This farm in Sugar Hill, NH is one of the most photographed in the area - so sad it is no longer being taken care of. 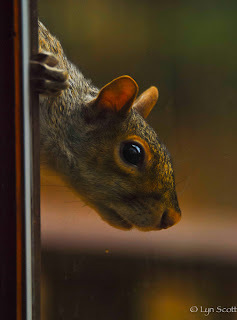 The squirrel was peeking in the cabin window and seemed to be talking "Hey lady, Are you in there? We need more peanuts". I find great joy in feeding as well photographing all the critters in the woods.